Infant seizures may indicate that there are other health problems. An infant seizure occurs as a result of brain cells “over-firing” or being excessively active. This disturbs the brain’s normal levels of electric signals. Infant seizures may cause permanent brain damage. For treatment, a pediatric neurologist will attempt to identify the root cause of infant seizures. Focal Seizures – These child or infant seizures are the result of abnormal electrical activity that strictly adheres to one hemisphere of the brain. During simple focal seizures, the child will not lose consciousness. During complex focal seizures, the child will lose consciousness. In both cases, the child may experience changes in vision, hearing, or smell prior to the seizure. Focal seizures last no more than 2 minutes. Generalized Seizures – These child or infant seizures include both hemispheres of the brain. The child will lose consciousness and experience a postictal period once the seizure stops. A postictal period is a feeling of exhaustion that occurs after a seizure. Infantile spasms are a form of generalized seizure during which the neck, trunk, or legs may jerk for a few seconds. These infant seizures typically happen when the infant is going to sleep or waking up. If infantile spasms become frequent, this is a serious medical condition that could result in permanent damage. Febrile Seizures – This type of child or infant seizure is fairly common, occurring in approximately 2% to 5% of children in the United States. They may happen any time between 6 months and 5 years of age. The child’s muscles will contract, either stiffening the limbs or causing more severe convulsions. They are brought on by fever and are more likely to occur in children with a family history of febrile seizures. Simple febrile seizures last less than 15 minutes, while complex febrile seizures last more than 15 minutes. Status Epilepticus – This is a condition where infant seizures merge into one continuous seizure. Status epilepticus is a medical emergency that requires hospitalization. A large portion of diagnosing infant seizures involves identification of the cause and type. The pediatric neurologist will order an MRI scan to evaluate an image of the child’s brain. Structural abnormalities will be analyzed, possibly in conjunction with a designated epilepsy protocol. An EEG may also be used to assess any unusual electrical brain activity causing infant seizures. A lumbar puncture may define a serious infection, chemical disorder, or metabolic disorder contributing to infant seizures. In some cases, such as head injury, the doctor may not be able to pinpoint the cause at all. Treatment of infant seizures is a direct result of establishing a cause for the seizure. In some cases, the doctor may prescribe medicine to cure an illness causing the infant seizure. An anti-seizure medication is often prescribed to minimize the frequency and duration of seizures. A Ketogenic diet may be suggested for children that do not react well with medication. Surgery to remove portions of the brain is left as a last-resort approach for patients experiencing very severe seizures. 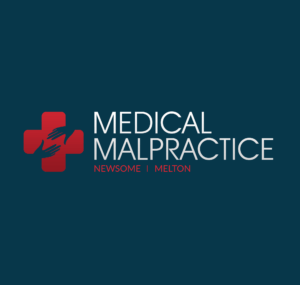 If a medical care provider fails to identify the correct cause of infant seizures, the treatment will not work and medical malpractice may result. N Boronat, et al. “Approach To Seizures In The Neonatal Period: A European Perspective.” Act Paediatrica (Oslo, Norway: 1992) 99.4 (2010): 497-501. MEDLINE with Full Text. Web. 10 July 2012. Page, Keri. “Link between Infant Seizures and Adult Epilepsy Unraveled.” The Lancet Neurology 2.10 (2003): 589-. ProQuest Nursing & Allied Health Source. Web. 10 July 2012. Rennie, J M. “Neonatal Seizures.” European Journal Of Pediatrics 156.2 (1997): 83-87. MEDLINE with Full Text. Web. 10 July 2012. “Treatment Of Diabetic Ketoacidosis Varies Across Specialties.” Contemporary Pediatrics 27.6 (2010): 8. CINAHL Plus with Full Text. Web. 10 July 2012.